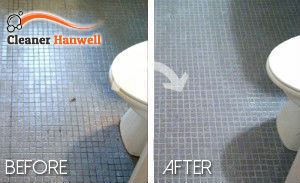 Many people from Hanwell and the area contact our company for help when they need professional cleaning service. We are known to have the most convenient and efficient bathroom cleaning service in town. We have what it takes to prove it to you, and to help you. 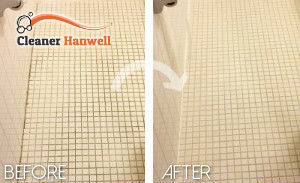 We promise you, a bathroom cleaning service performed by real experts, results to a high standard and very practical prices. Give us a call if that sounds appealing to you. We pride ourselves in having the best cleaners in town, they are experienced and adequate to give you the best bathroom cleaning service you could ever find here. Give us a call, if bathroom cleaning is not in your top favourite things to do, and we will take this burden off your shoulders. Our cleaners will come to your home, they will bring cleaning products and tools and will get to work. They will clean your bathroom’s floor and wall tiles and joints, they will clean the mirror, the cabinet, the shower curtain. They will remove mould, if any, they will take out the trash and reload toilet paper. They will clean and sanitise the toilet and toilet seat, they will disinfect the sink, they will de-scale and get rid of soap residues, they will clean the drain of hair, etc. You can rely on our cleaners for impeccably clean bathroom. Our cleaners have seen many different bathrooms and a wide variety of cleaning problems, but they can take care of them, thanks to the special and efficient cleaning products that they use. Give us a call now, we will send you the best cleaners in W7. Copyright © 2019 Cleaner Hanwell. All Rights Reserved.